HFC student Tyrone Bean is a lifelong Detroit resident. He has taken part in the city’s summer youth program for many years (since age 14). He first became involved with Don Bosco Hall when he started playing basketball about age 6, and has worked there for many years in his summer job placement. He now teaches others much of what he learned during those years. 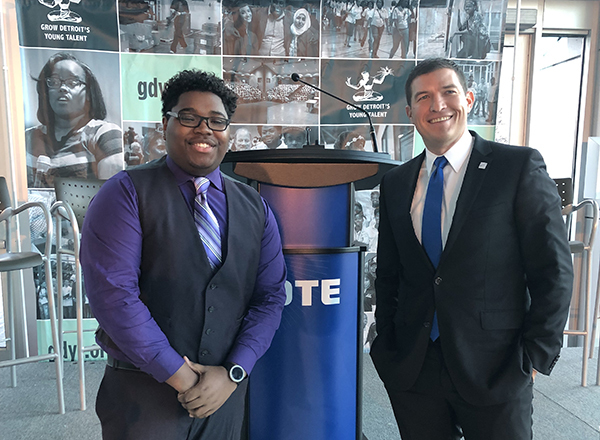 Bean was selected to be the youth presenter at the Grow Detroit’s Young Talent 2019 Kick-off at DTE Energy headquarters Jan. 31. Bean was a Youth Service Coordinator for GDYT 2018. He is focused on the foundational skills he has learned – being on time, being respectful and building trust, and learning how to manage money. Bean is now in his second year at Henry Ford College, studying Business Administration. When he graduates, he wants to launch his own urban clothing brand. More information about Tyrone's story will follow! Over the last 4 years, GDYT has provided training and employment for more than 20,000 Detroit youth between the ages of 14 and 24. 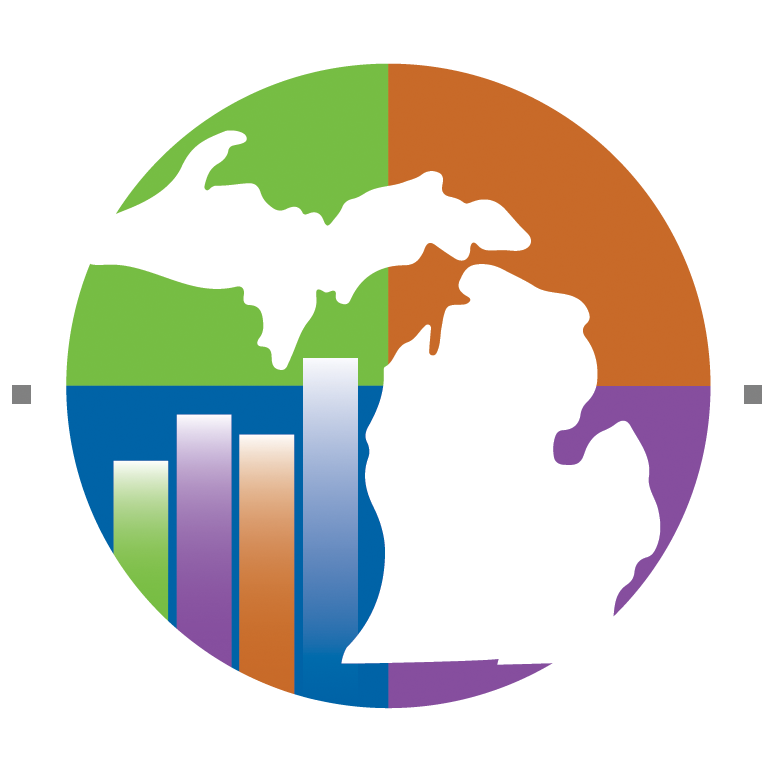 This year, the program will seek once again to provide 8,000 youth with employment opportunities in partnership with Metro Detroit area employers, local businesses, municipal departments, non-profits organizations, and the philanthropic community. 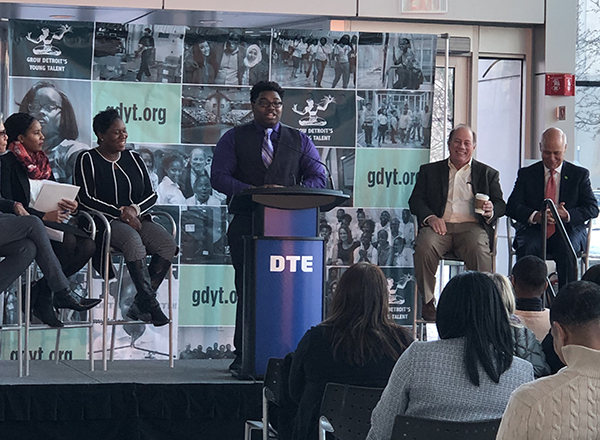 The kick-off event on Jan. 31 started the 2019 GDYT Youth Registration and Employer Recruitment Campaign. Tyrone Bean presents at the DTE headquarters, flanked by Mayor Mike Duggan (second from right) and other leaders.